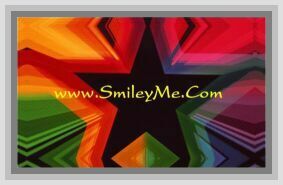 Get Your Rainbow Mirror Bead Curtain at SmileyMe! Rainbow Mirror Bead Curtains - Glow in the Dark - ...a Fashion Statement that Keeps on Shining. Loved & Adored by Many, Bead Curtains Have Many Uses Besides the Traditionally Doorway. Bead Curtains can Not Only be Hung in Windows, or at Weddings but How About Hanging Above a Stair Railing or Across a Front Porch? Bead Curtains Strings can be Reinvented into Hanging Plant Holders, Regular Curtain Tie Backs, etc...or...Add Them to Lamp Shades, Chandelier Lights, Christimas Trees or How about a Really Cool Canopy Bed. As a Craft Item, the Options are Endless...Each Pkg Includes 10 (78 Inch Long Strands) Enough to do a 1 - 2 ft Section Depending on Spacing. Use 2 for Any Regular Door Opening. Bead Curtains can be Cut to if Desired to Give a Zig Zag or Rounded Bottom Look....Qty is 1.